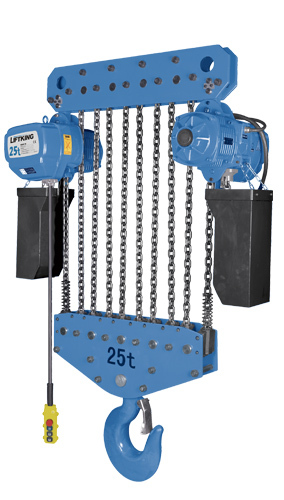 Electric chain hoist is small lifting equipment.consist of motor, transmission and sprocket wheel. 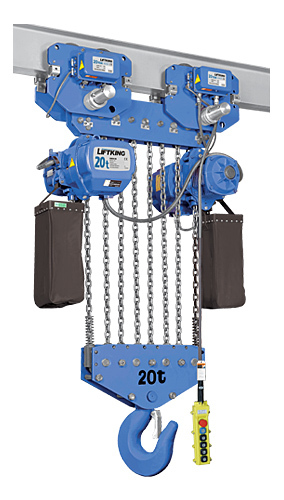 liftking brand electric chain hoist is made in accordance with international standards.We have got the CE certification and SGS certification! 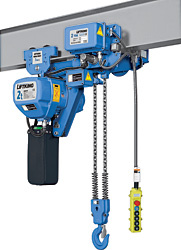 - An electric overhead hoist is often specified when the application calls for more frequent and faster lifting, such as on a factory production line. - An electric hoist with a motorized trolley is ideal for repetitive lifts which are required to travel long distances. 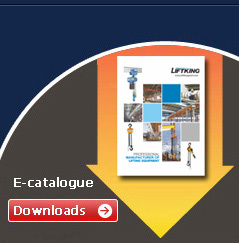 - A wide range of capacities and speeds are available for both hoists and motorized trolleys. - Specially constructed wire rope units can also be furnished to provide true vertical lift when required.